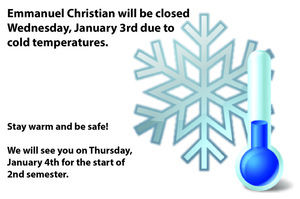 Emmanuel Christian will be closed Friday, February 9, 2018 due to Winter Weather Warnings for the area.Be safe! This week's edition of the WARRIOR Weekly is now available. Visit http://5il.co/2p10 to get all of the latest EC News and Information! 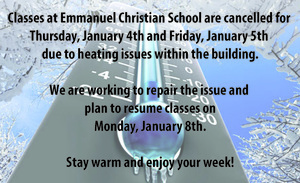 Classes are cancelled for the remainder of the week due to a heating issue. 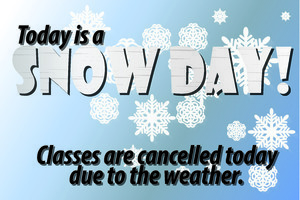 We plan to resume classes on Monday, January 8th. Stay warm. We will see everyone on Thursday, January 4th. This week's WARRIOR Weekly is now available!